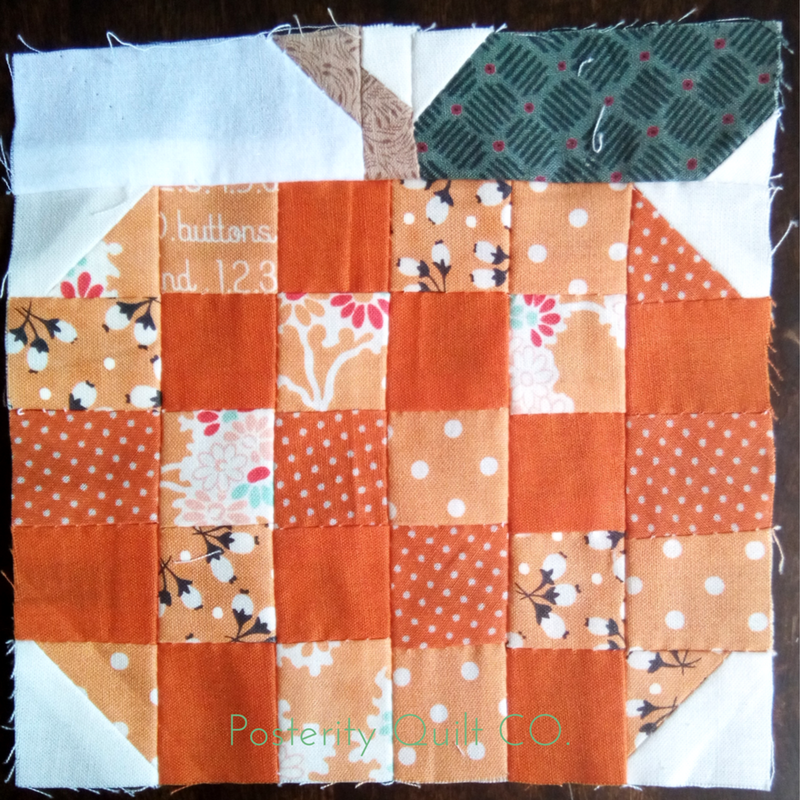 Farmer Girl Vintage Quilt: Progress! 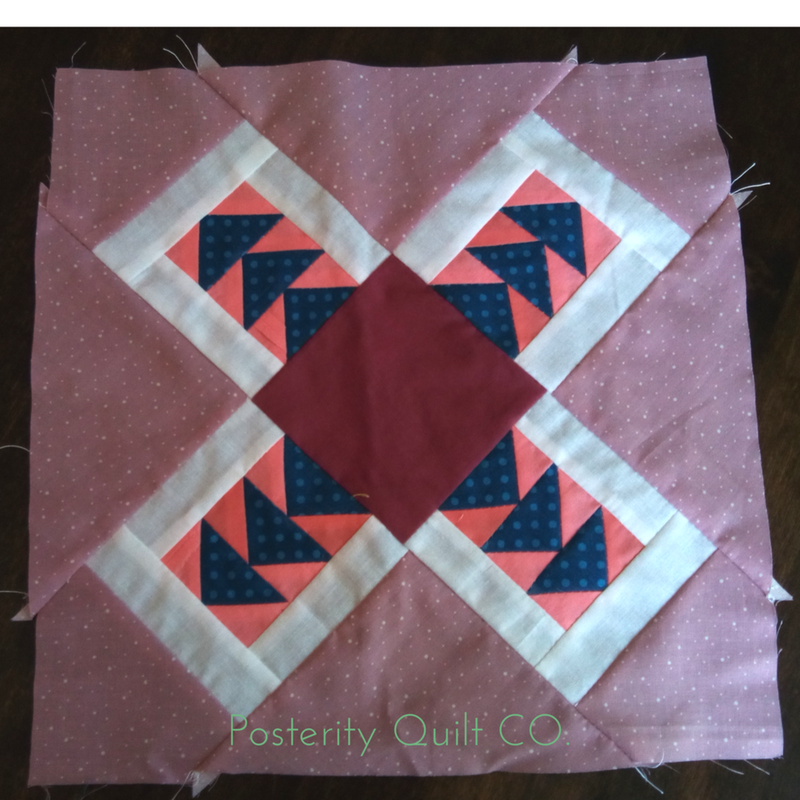 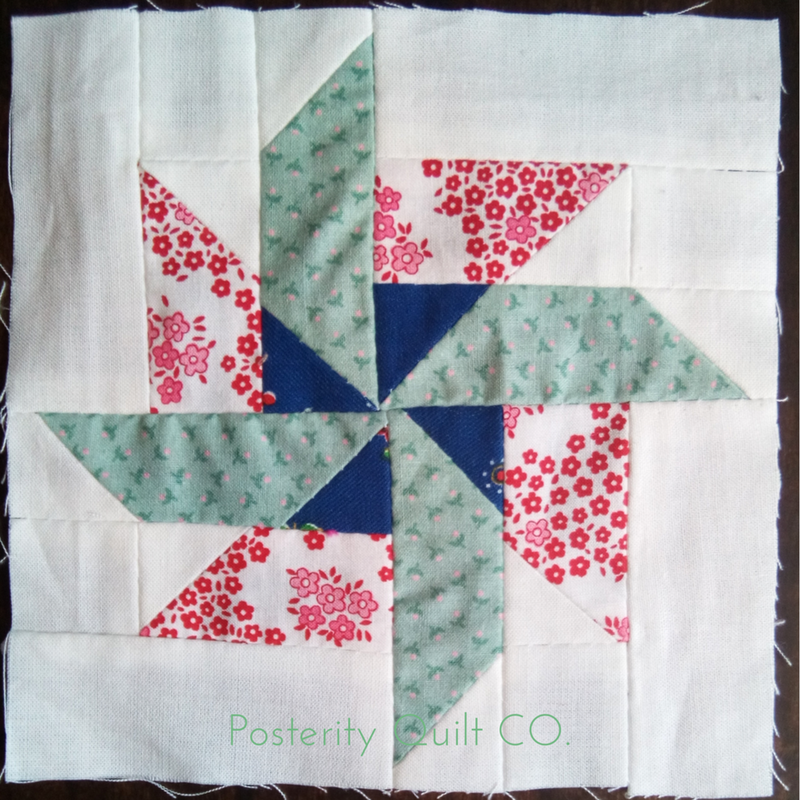 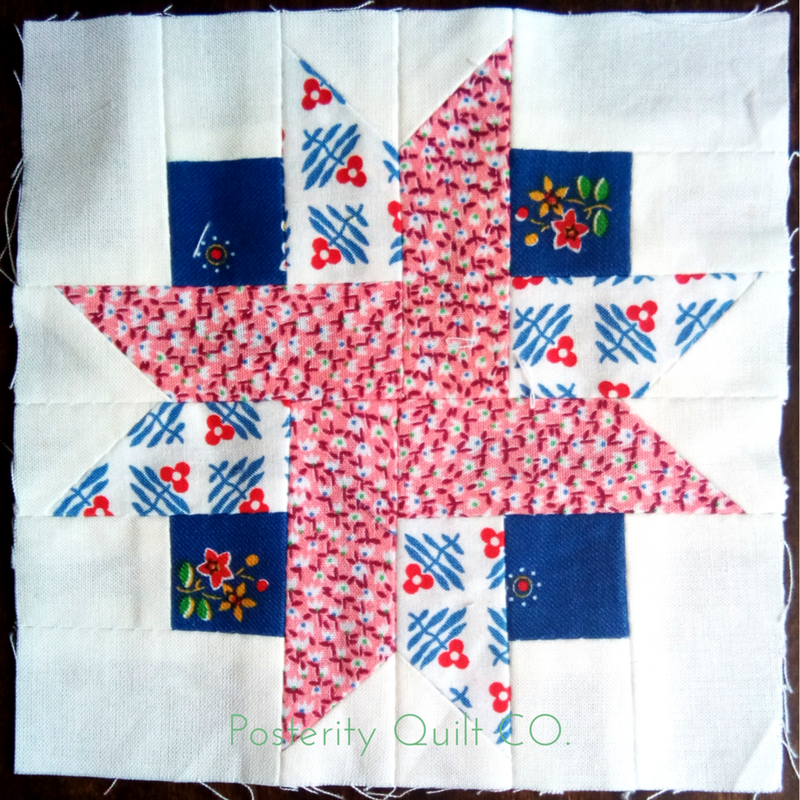 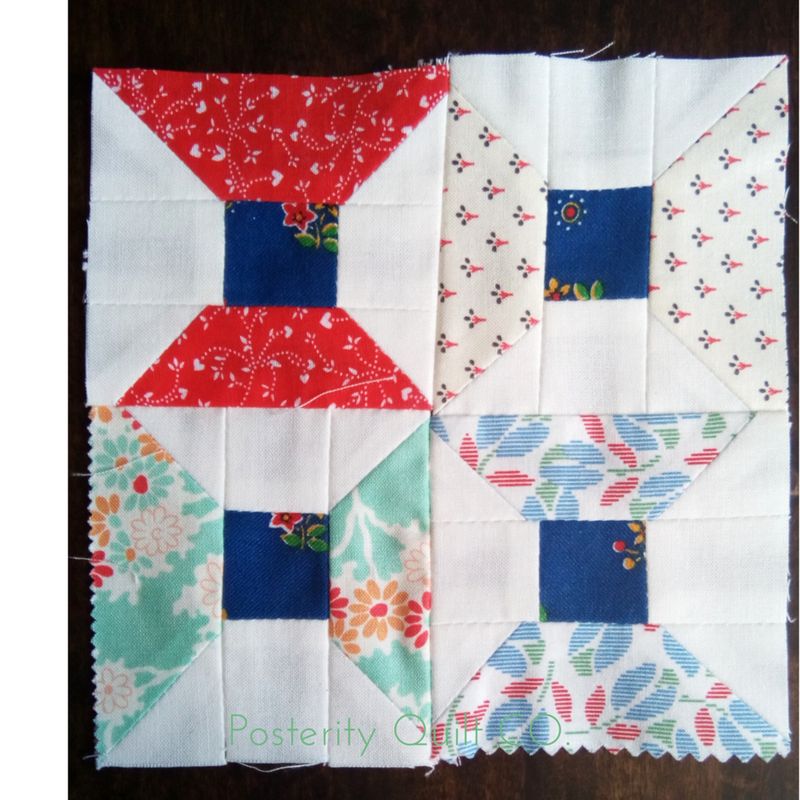 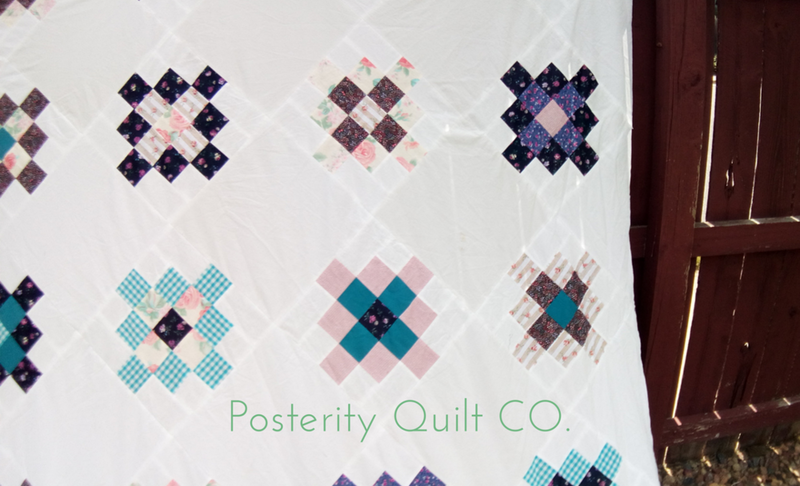 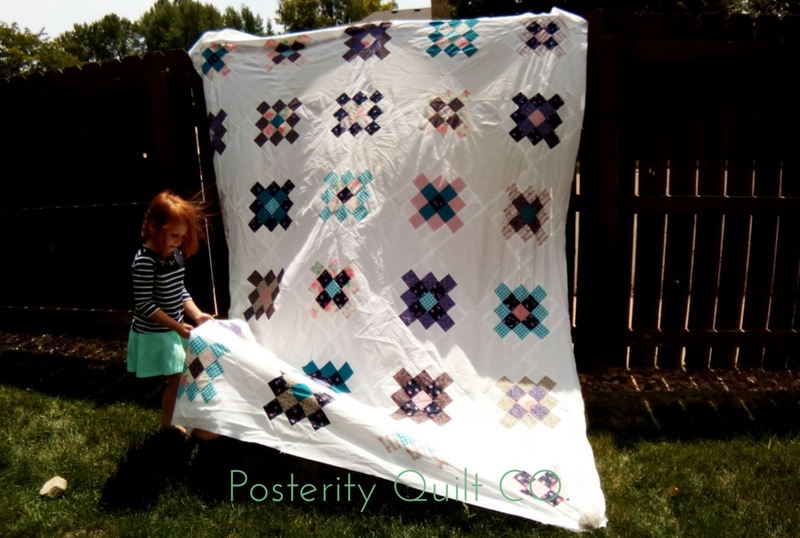 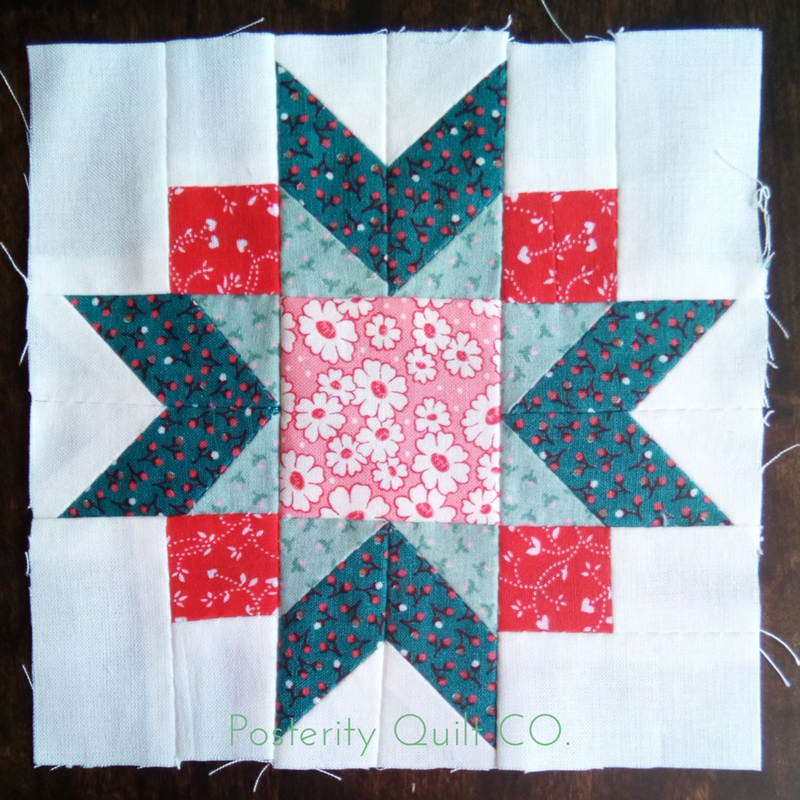 So since I am relegated to all of the conveniences of city life, I'll just have to satisfy my inner country girl by making this quilt and imagine that our patio is actually a wide open field where I can't even hang my quilts after washing them because the HOA wont allow it. 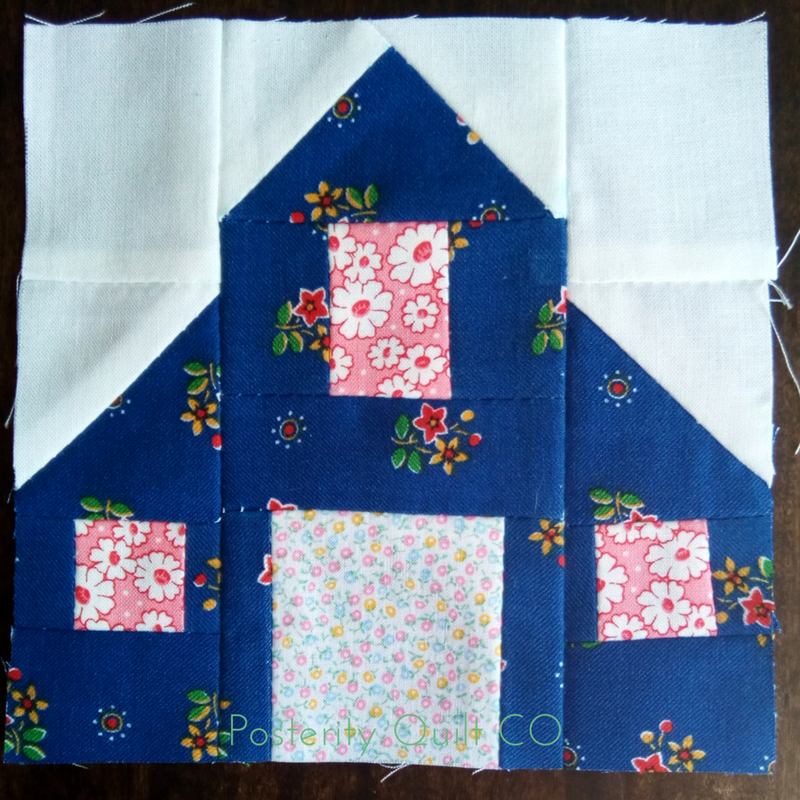 There are a few more blocks I need to create before I finalize my lay out, like the tractor, barn, and farm house, and a few more 6" blocks. 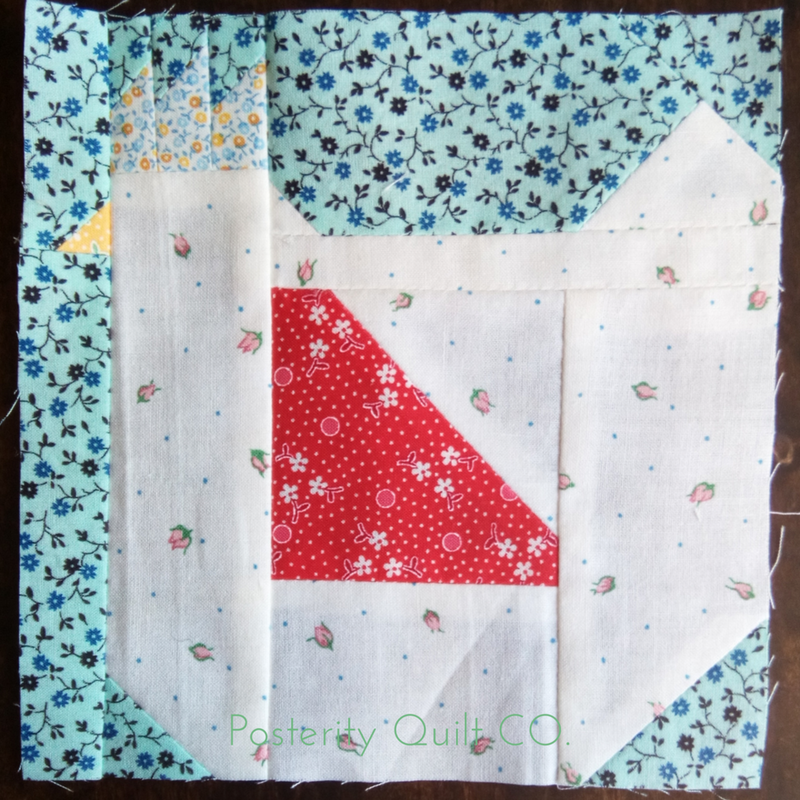 I only have to finish the sheep block and I will have made all 6" blocks in the book! 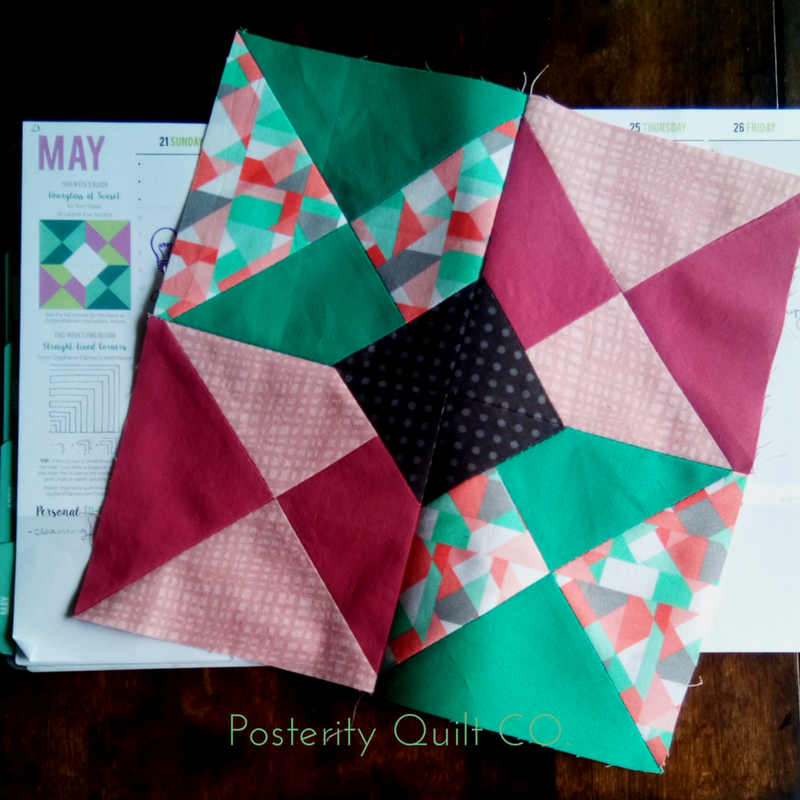 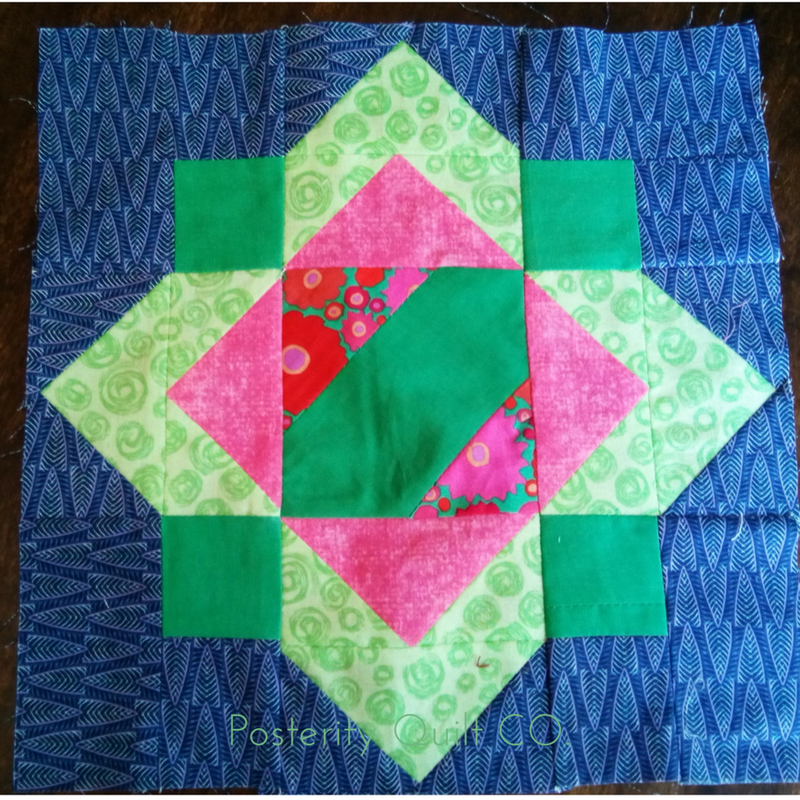 And then I'm planning on adding about 4 more 6" blocks that Lori has available for download from her blog. 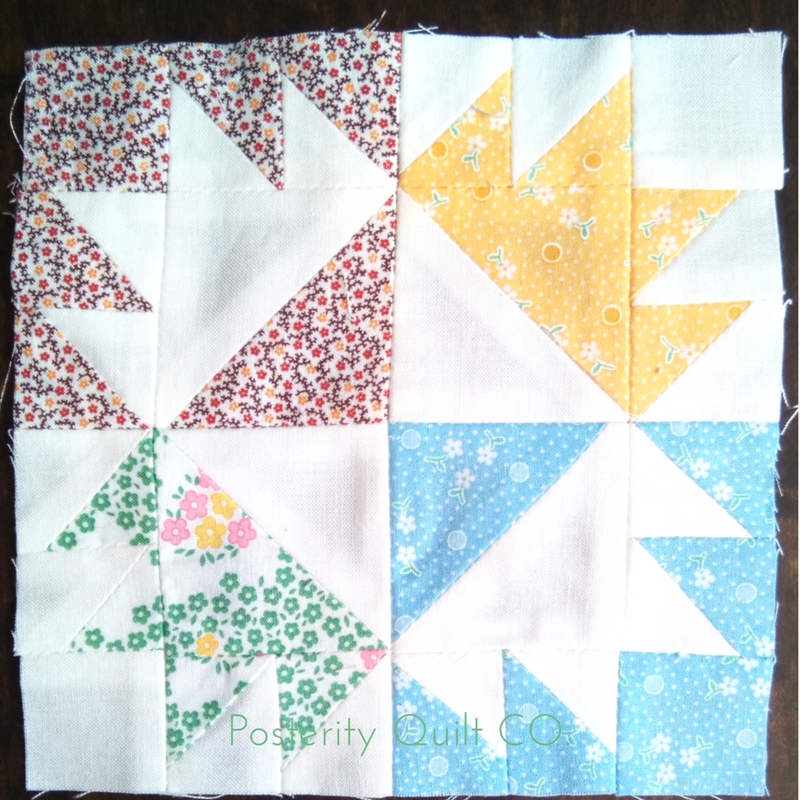 I haven't quite decided which ones to download, but I'm leaning towards a tree to put next to the farm house, a cow, and some flower blocks. 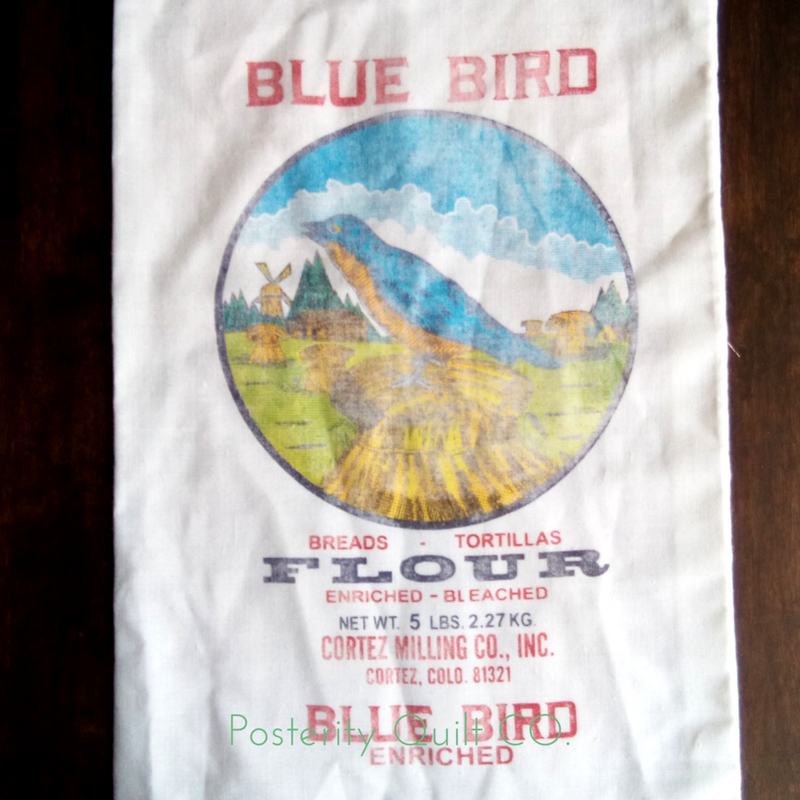 Handsomepants laughed at me when I came home from the grocery store with a bag of Bluebird Flour, he knew I had bought it because of the packaging (that's how I buy my spaghetti sauce too). 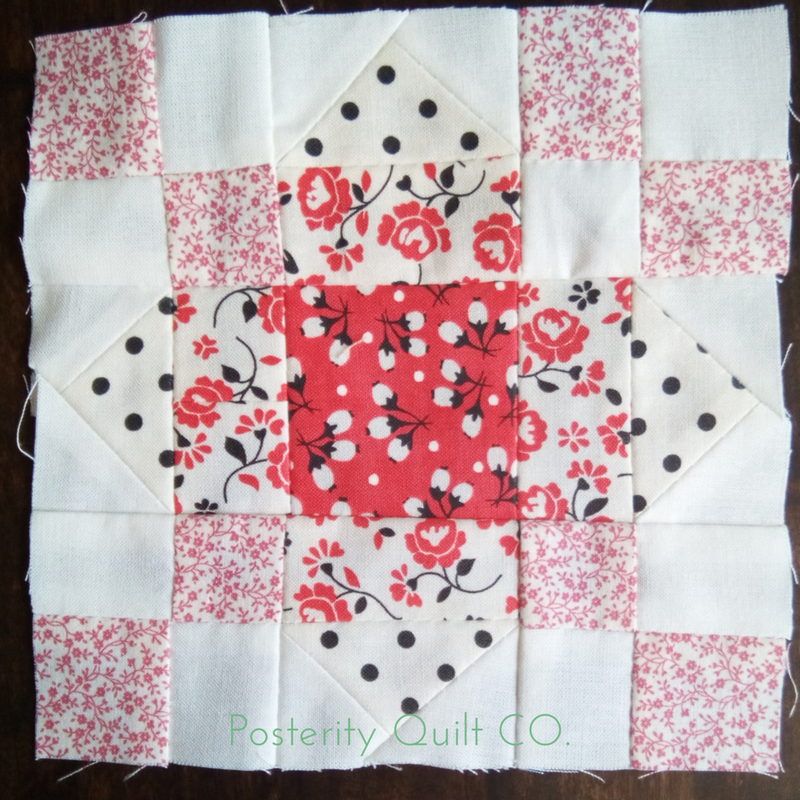 I thought it would be a nice, vintage type addition to the quilt. 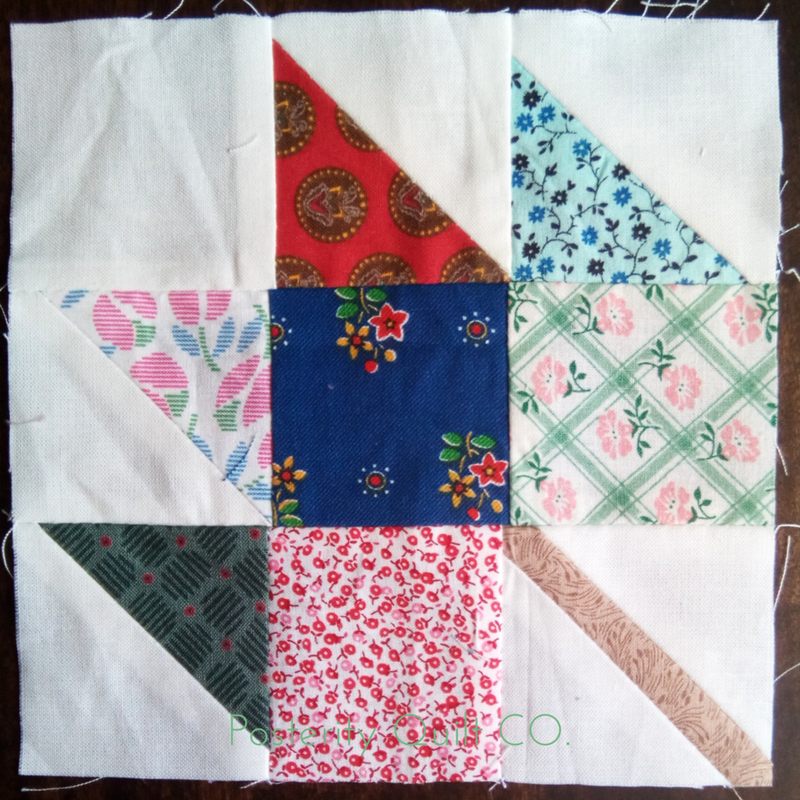 Size-wise it's not compatible with 6"blocks, but I'm going to fit it in somehow, either by forgoing sashing around it, or adding it as a "patch" to the backing. 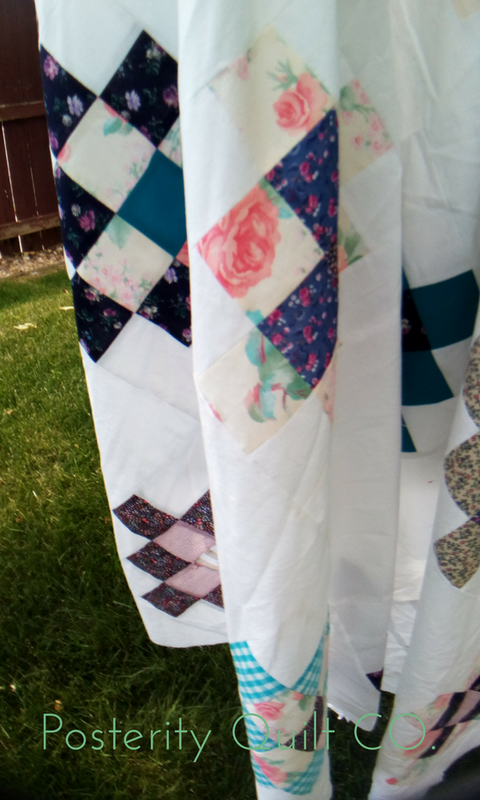 I still need to decided on the color and style of sashing too. 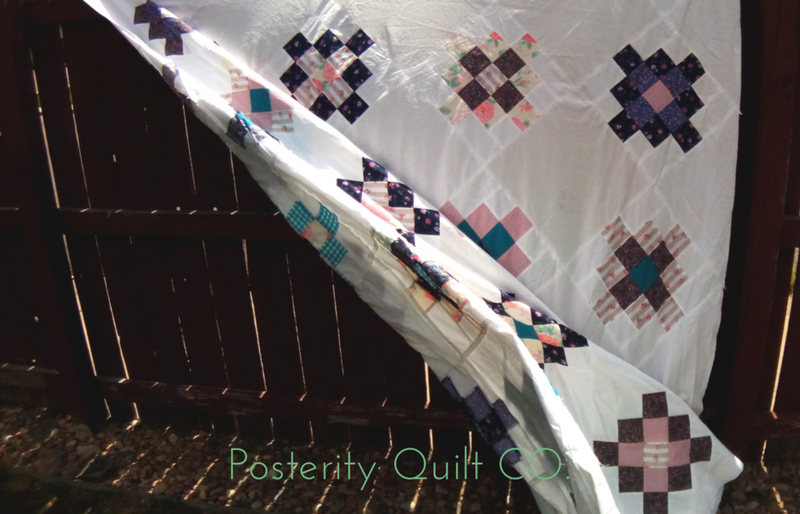 The layout is going to be strait, not on point, and I still need to decide on the feel of the quilt. 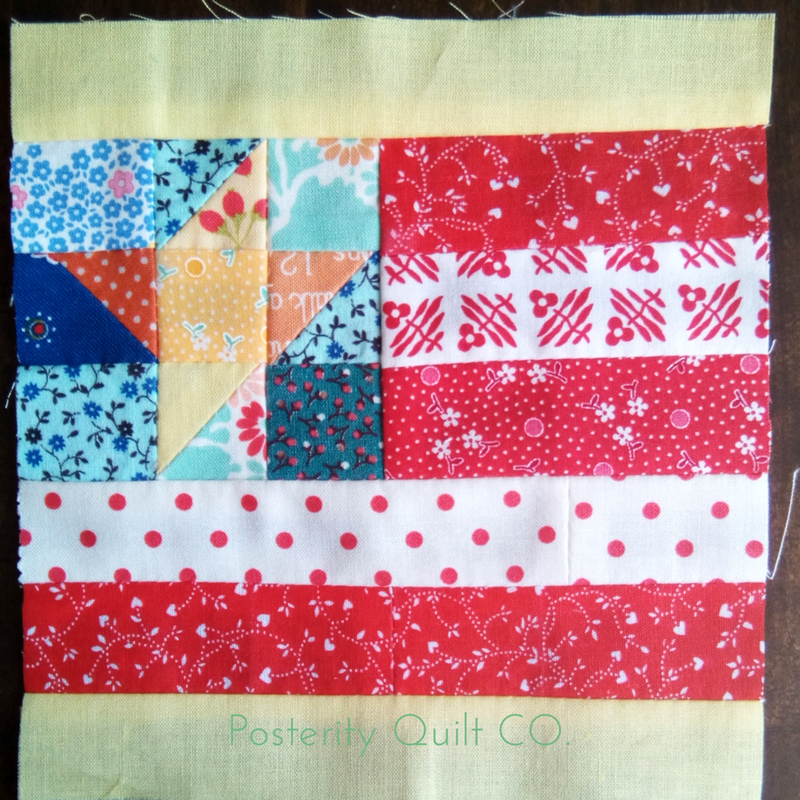 If I make it into a winter quilt with flannel for backing, the sashing is going to be solid and colorful. 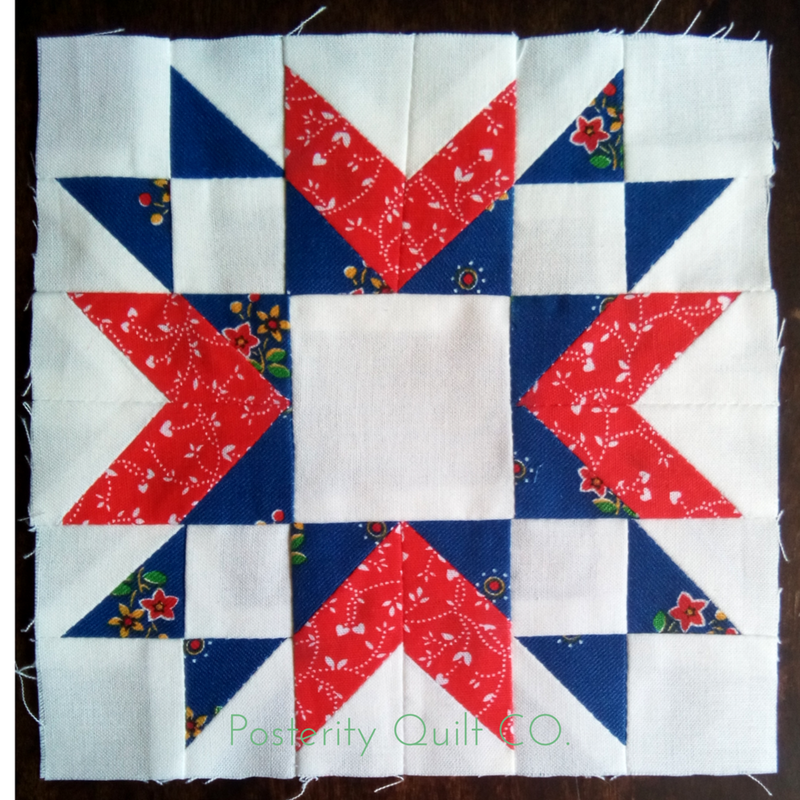 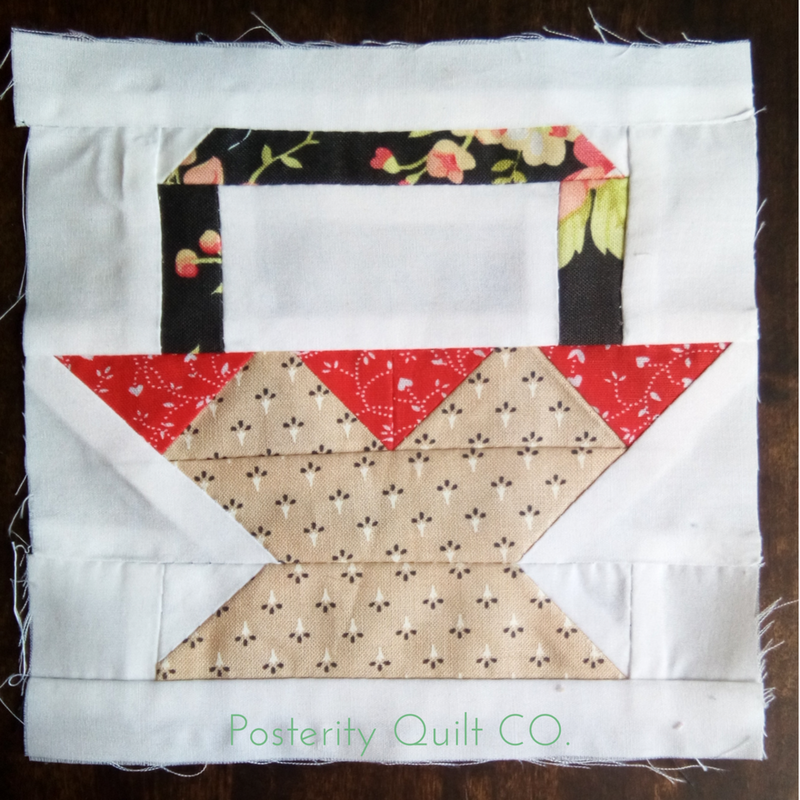 If I make a summer quilt, the sashing is going to be white with a fun binding. 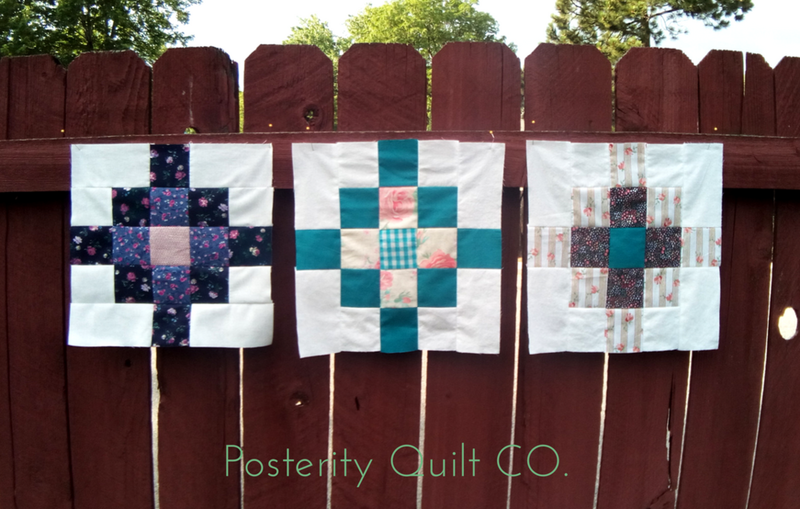 I can't quite decided, and it might just come down to what additional fabrics are on sale because I don't have enough fabric for a backing in my stash.